Introducing the all new Onyx-W ATM. The Onyx-W can be installed securely as a Wall Mount or on a Counter Top. You're installation options are only limited by your imagination. 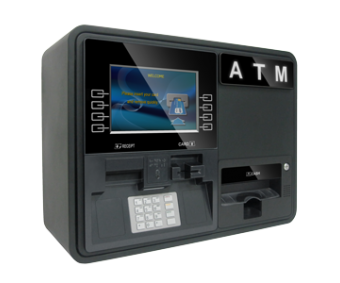 Featuring a high-resolution 10.1" LCD screen and light-up touch function keys along with 2" receipt printer, the Onyx-W uses the same modules and software capabilities and functions found in existing Genmega ATMs. Dispensing is handled via a 1000-note removable cassette which is secured inside it's own internal vault system which is available with electronic locks.